Clear plastic boxes and cartons allow the appearance of a window in your package for easy viewing of your product while providing economical design and branding elements. Usage/ Application: This hybrid carton be used in the health, beauty and toy industries for a sturdy, yet branded design to showcase a single product, or as in this case a combination pack. Special features: The printed corrugated body has slots that allow the plastic PET window to lock securely in place. Bringing paperboard, printing and transparent plastics together to bring your retail packaging to life is Clearpak's specialty. 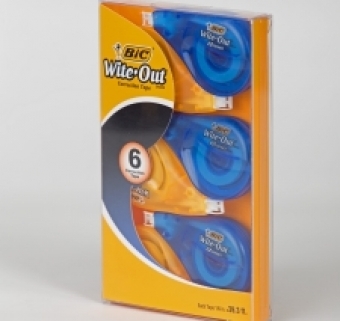 Usage / Application: Transparent folding cartons make for easy multi-pack retail packaging. Clear folding boxes can be made in universal sizes to suit your product requirements allowing you to change the printed inserts to reflect the individual products inside. Special Features: Printed paper board inserts can be inserted into the clear plastic boxes allowing a window to your products for ease of consumer identification and the ability to easily provide multiple items to form one sku. Printed inserts offer an economical packaging option for retail product packaging and design. The Clearpak design team can help you create the perfect transparent retail packaging for your product and brand.